Pandora, the progressively personalized internet radio, recently picked up Syracuse’s very own Ruddy Well Band. The Ruddy Well Band station features the band’s 2014 Sammy Award winning album Change of Course. Their 2015 album Building a Fire was also approved and is set to go live after finishing its time in the curation process and genome database. 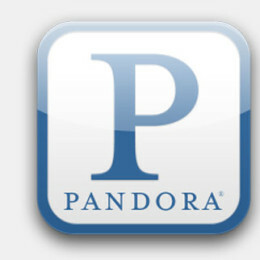 Pandora’s Music Genome Project allows for a unique type of internet radio that personalizes the listening experience, sending each song through the Music Genome Project database. This process has changed the art of finding new music, whereas other internet radio sites rely on genre, user connections or ratings, Pandora uses the Music Genome to cover the qualities of melody, harmony, rhythm, form, composition and lyrics in order to add more music to a station. From there, with a thumbs-up or a thumbs-down, the channel can be personalized to the user’s specific listening desires. Other great features of Pandora include being able to click directly on album art in order to purchase music, sharing a station with friends directly through a provided email link, and allowing a user to create up to 100 stations and register for RSS feeds to find out what others are listening to, what the top 20 artists are, etc. So be sure to support local music, create and thumbs-up the Ruddy Well Band, and see where the Music Genome takes you.